1. Preheat the oven to 190C (375) and line two baking trays with baking paper. Using a stand mixer with paddle attachment (or handheld mixer) beat the butter and sugar until super creamy and fluffy. Add eggs and vanilla and beat until just combined. 2. Sift flour and cornflour into the butter and sugar mixture and mix on a slow speed until it all comes together. 4. 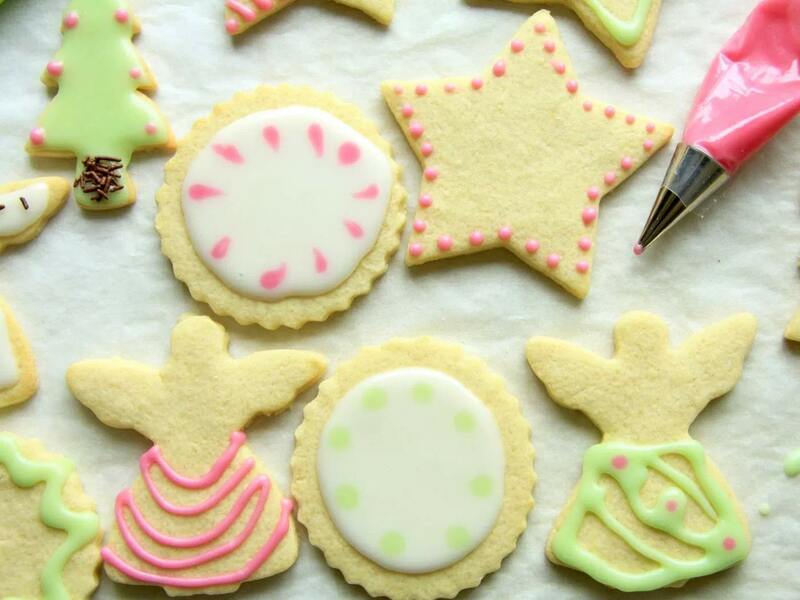 Once cookies are completely cool, ice them (I like to use a piping bag, but a knife or spoon works fine too). To make icing: Sift icing sugar into a bowl. Stir in milk, vanilla and any colourings and mix until smooth. * If using unsalted butter, add 1/2 teaspoon of salt to the dry mixture. 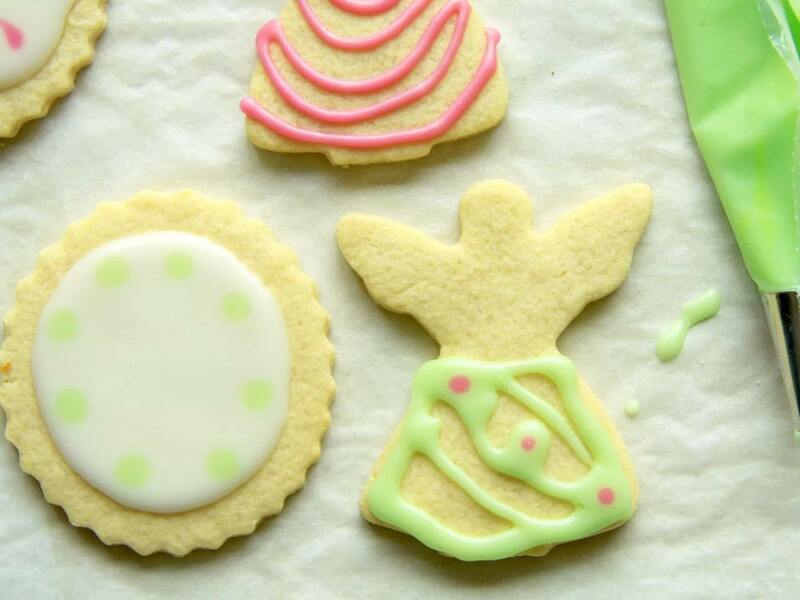 These perfect sugar cookies don’t spread but instead hold their shape wonderfully during baking. They taste incredible too! I have the perfect recipe for you to make for friends and family who are likely to visit you over the next few weeks (or you can take them when you visit them). 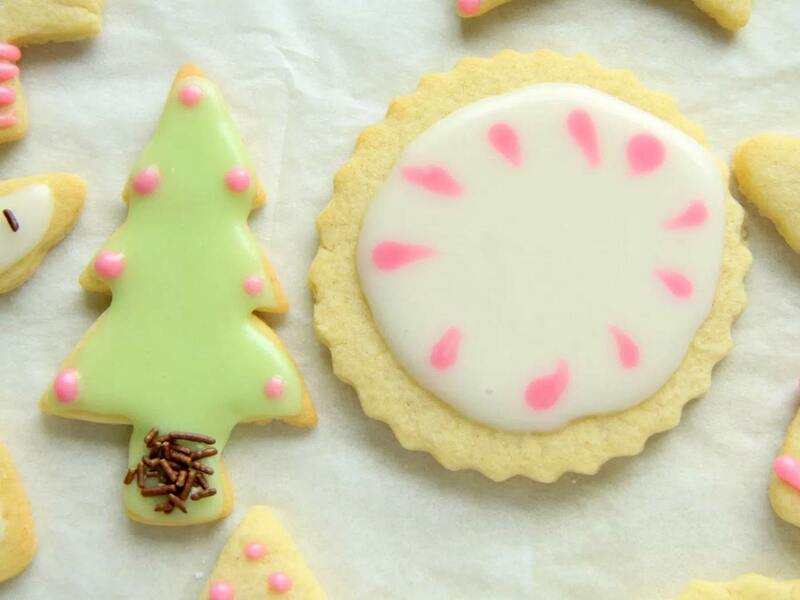 They are these perfect sugar cookies. And when I say perfect, I really mean it. 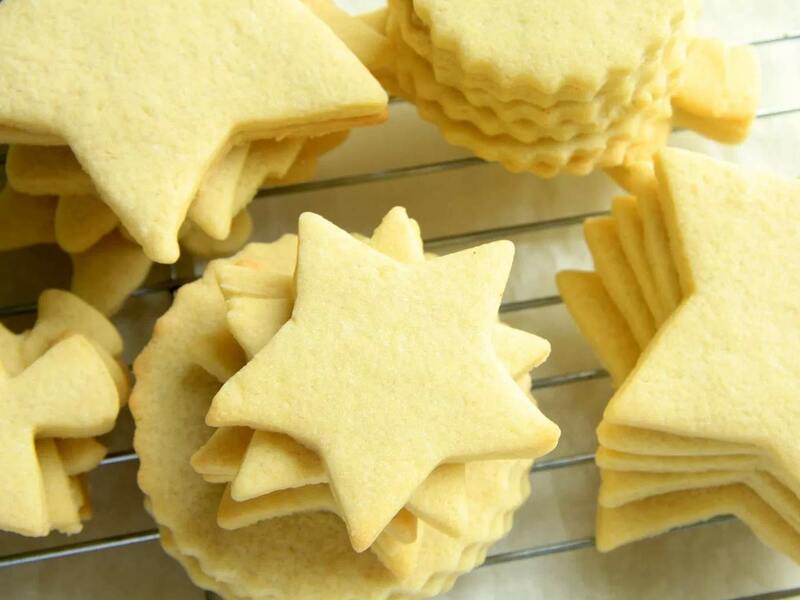 These cookies don’t spread like many other roll out sugar cookies do, as they have a magic ingredient in them that prevents spreading and enhances the tenderness of them. I baked a batch of these last week and they ended up getting shared among my mum’s violin students and their families. I think they would make a nice little gift when wrapped up in a cellophane/paper bag tied with a ribbon. They are also just handy to have in the cupboard for when unexpected visitors arrive which is very likely this time of the year. I decorated mine with a simple icing sugar icing (no fancy meringue powder needed here), but you can decorate with whatever you have on hand. It lowers the protein content of the flour which means less gluten and therefore more tenderness which enables the cookie to melt in your mouth with every bite. It helps prevent the cookies form spreading without having to add more flour. 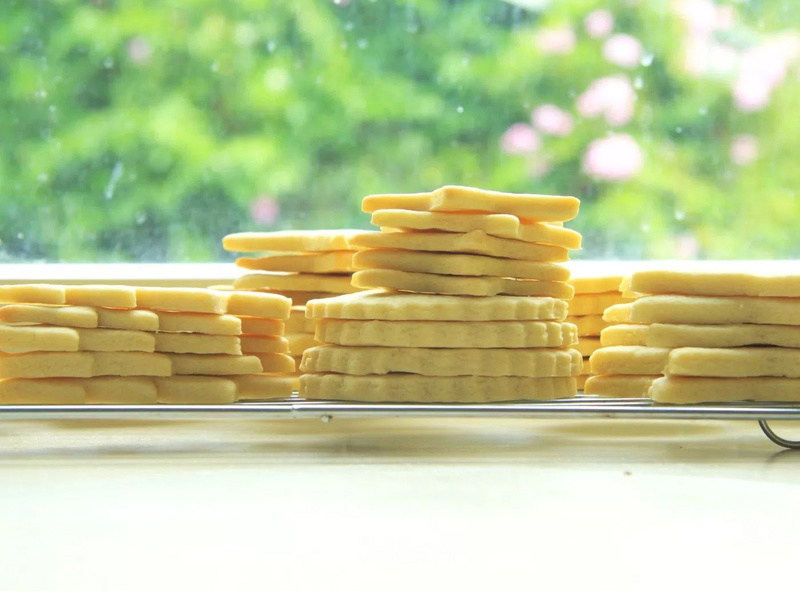 The starch in the corn flour is what helps hold the cookie in place….and you will notice that no chemical leavener (e.g. baking powder) is used. Baking powder enhances spreading so we don’t want any in these cookies! If you’ve ever been frustrated in the past with cookies that loose their shape after baking, then I think you’re going to love these cookies – they do not disappoint!